Yes! 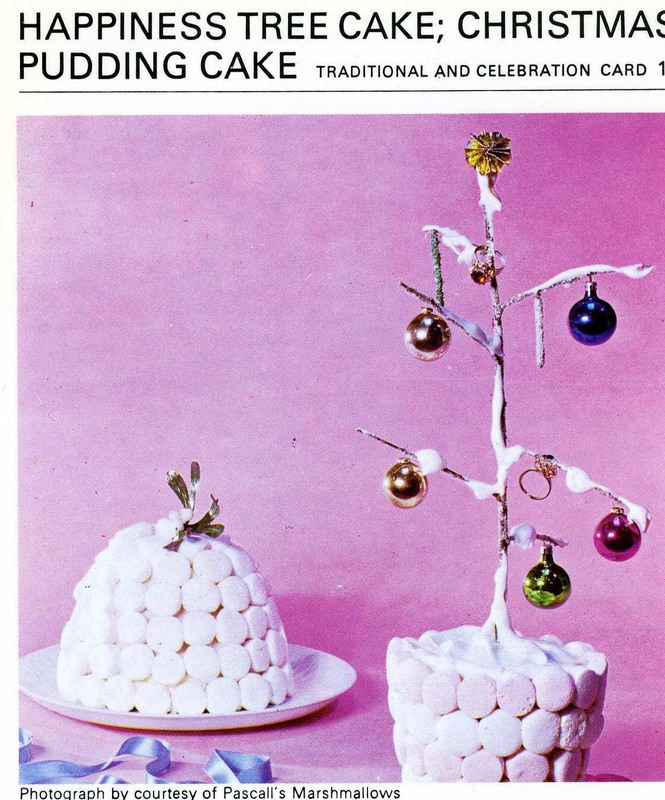 It’s the marshmallow bauble stand you’ve been waiting for! 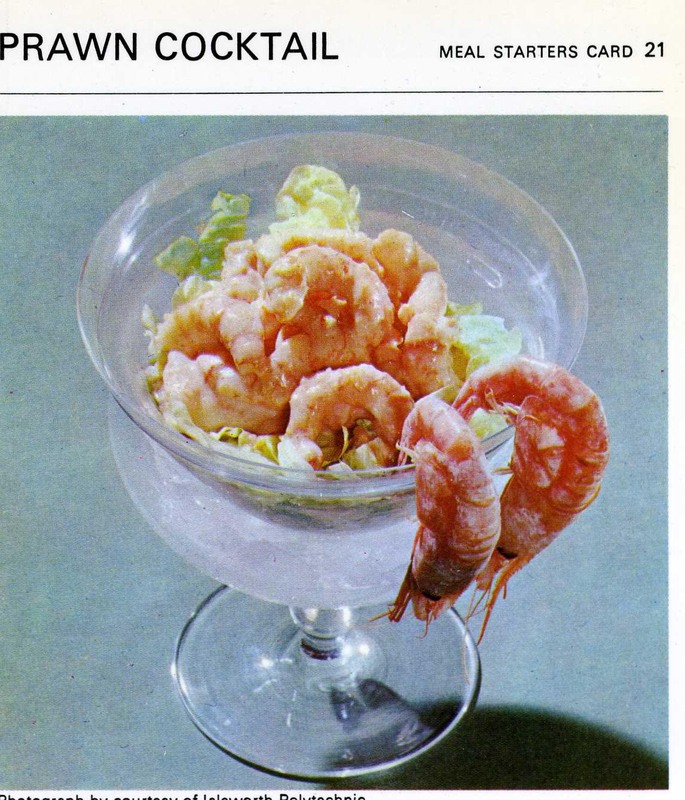 And if that’s happiness, god help us all. And why are there rings stuck to the branches? 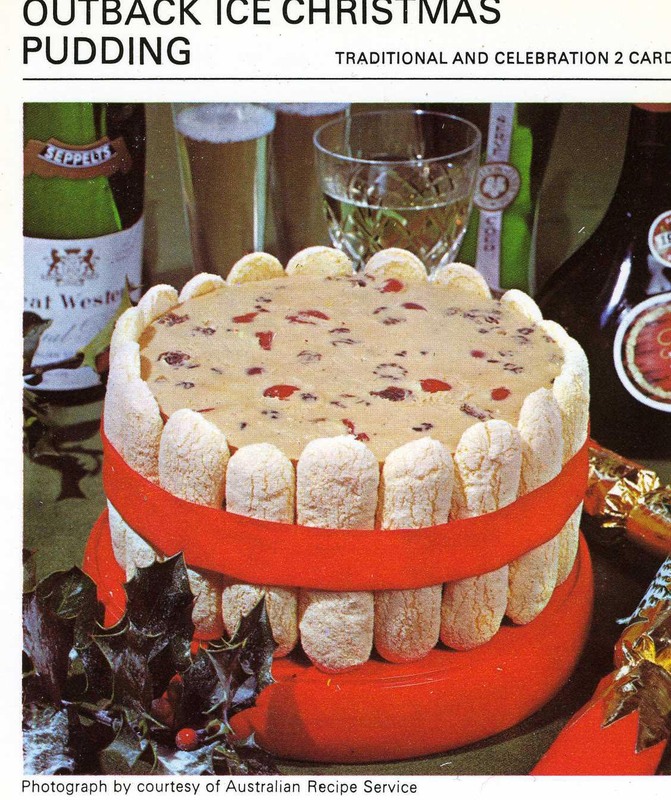 A stunning combo of ice cream, booze and dried fruit, contained by a fence of sponge fingers. Potentially quite nice, but how does stuff like this get conceived? This is a Danish cake, the reverse tells me, which leads me to conclude that Danes don’t give much of a stuff about Christmas. 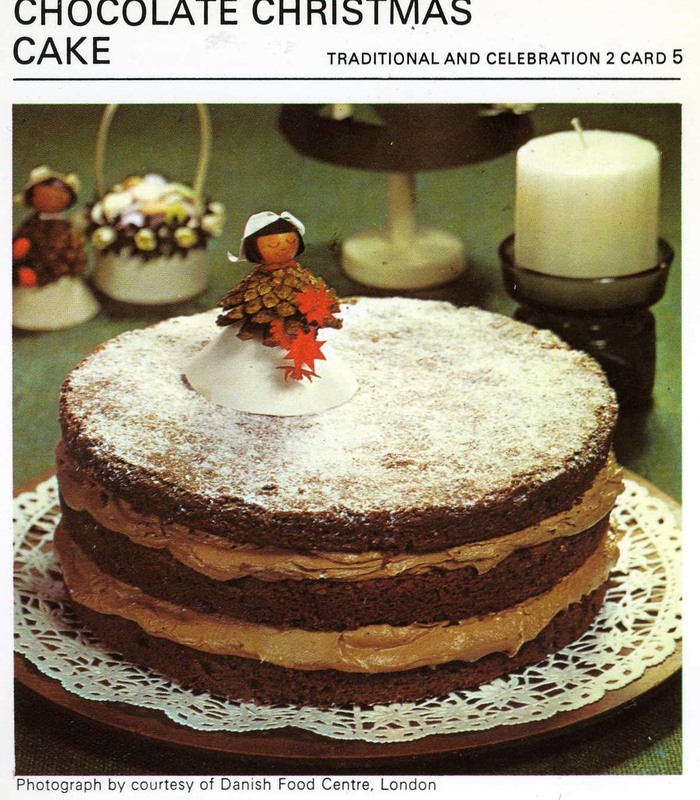 The reverse also says ‘Decorate as wished’, here the decorator wished to make a doll out of a fir cone, some paper and a cherry tomato. Who can say what any of us would do in the same situation. We mustn’t be too quick to pass judgment. 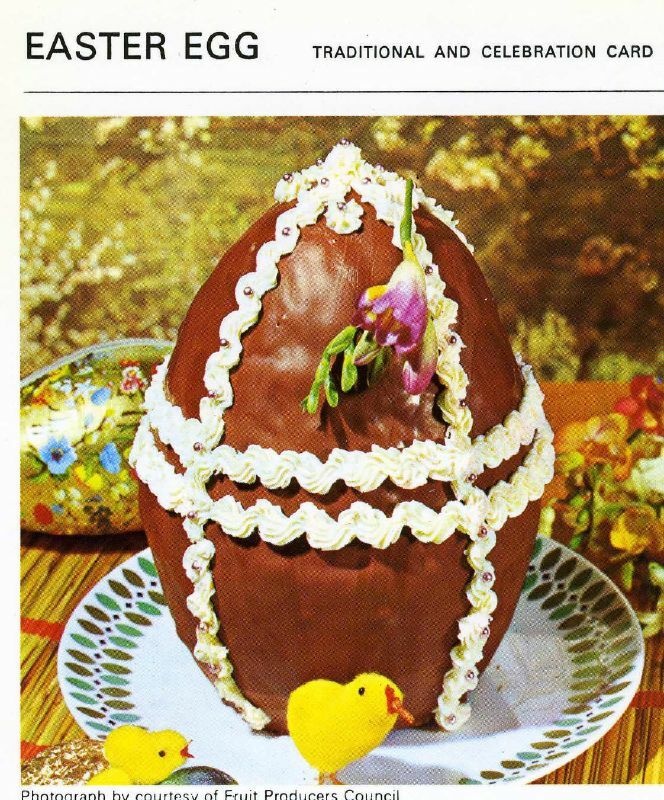 Mix remaining butter icing with melted chocolate, and pipe shape of doors, windows, etc. 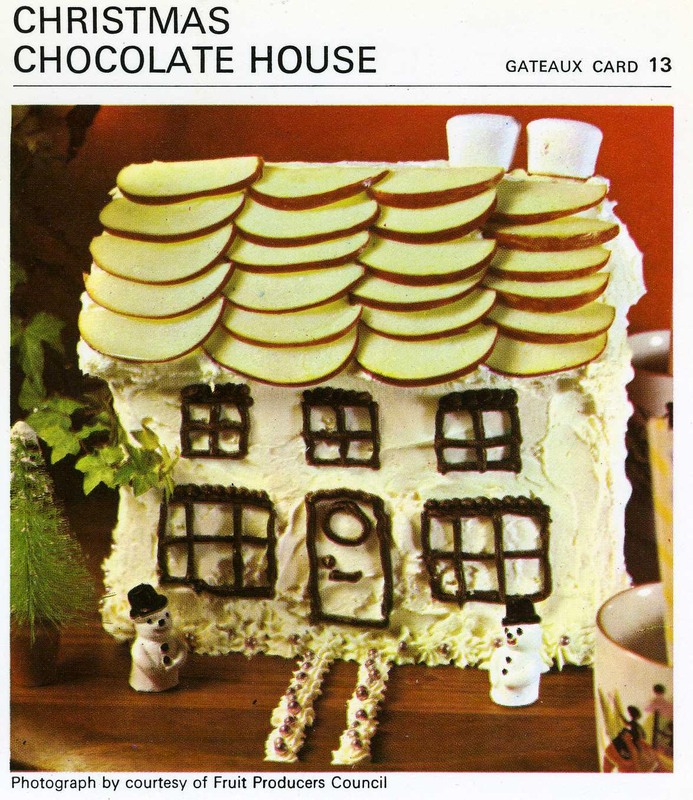 Dip apple slices in lemon juice, arrange as roof tiles, with marshmallows as ‘chimneys’. Decorate with silver balls. 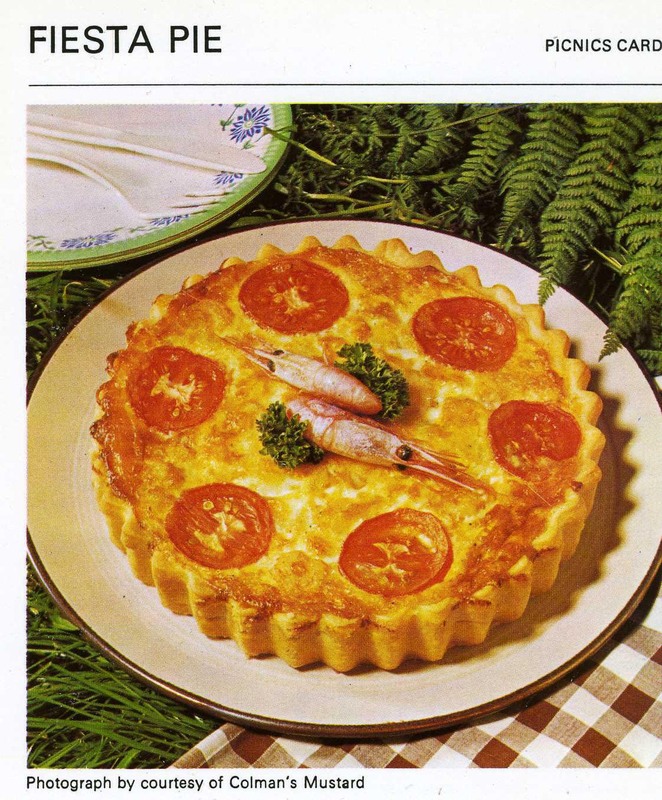 Prawns ruining an otherwise ok-looking quiche, sorry, Fiesta Pie. 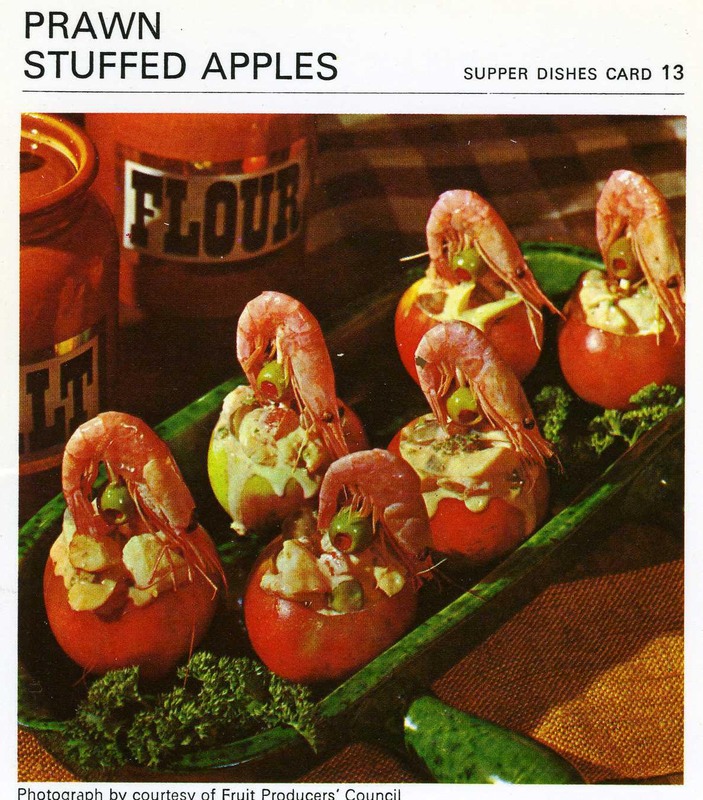 Nothing about this recipe is good. 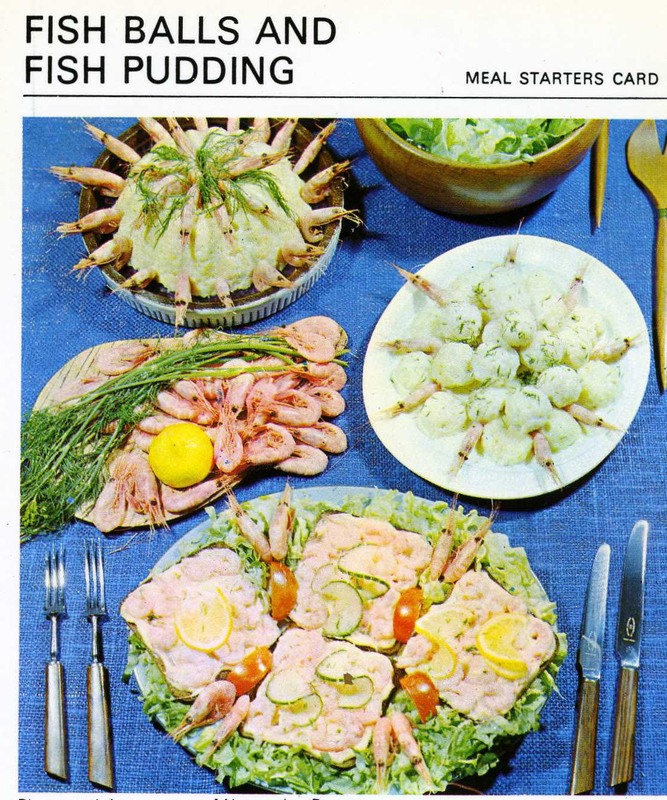 I don’t know what any of these foods are and I’m scared. I wanted to feature a Bonfire Night related recipe card today but I have none, so instead here are some Danish Open Sandwiches, artfully laid out on someone’s kitchen floor. 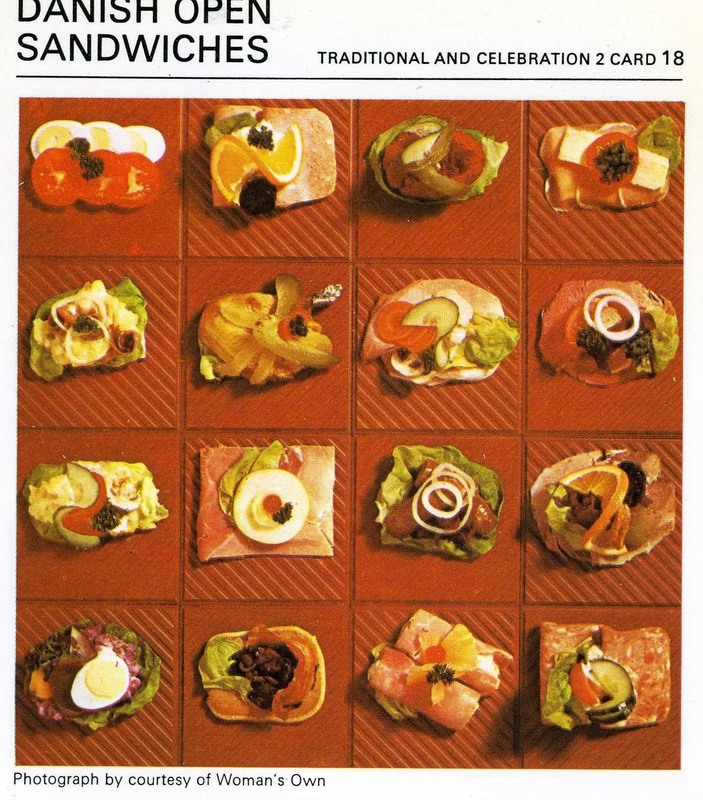 I have a whole book of Danish sandwich recipes, called The Danwich Book. I’ll make some one day, I imagine, but in the meantime have a smashing bonfire night! Happy Halloween Everyone! 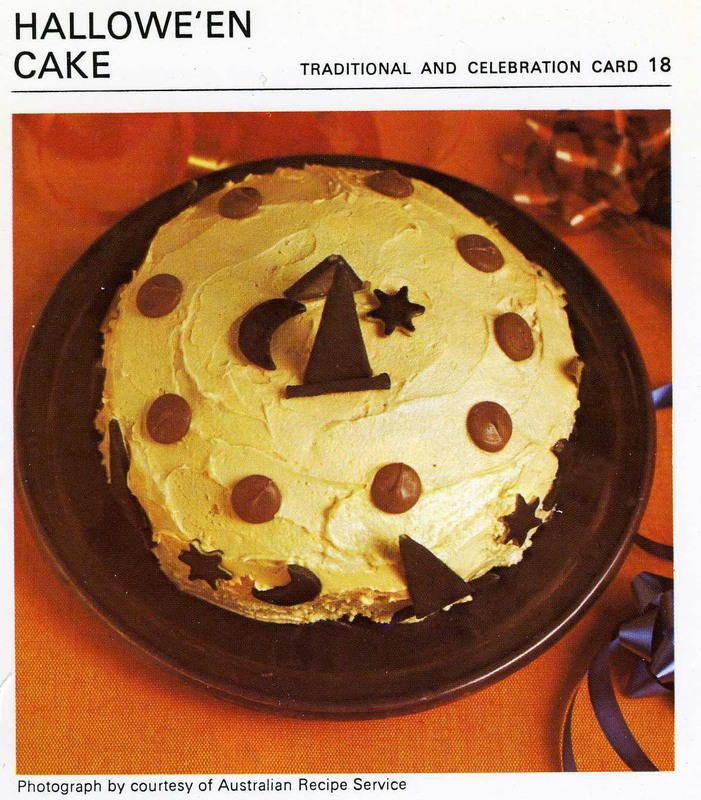 Why not make this cake? 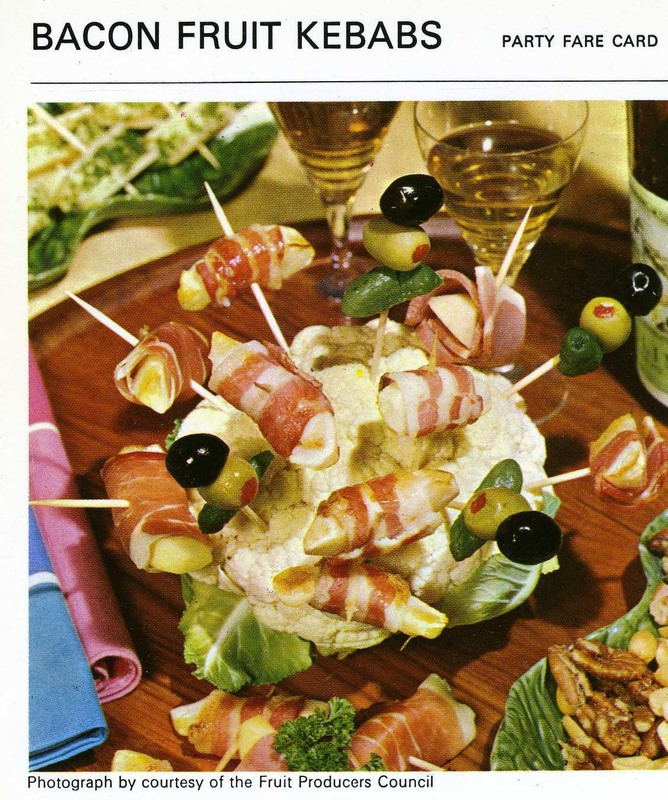 Nothing screams halloween like, er, like, um WHAT is that? A traffic cone painted black? Who else spotted the cauliflower? 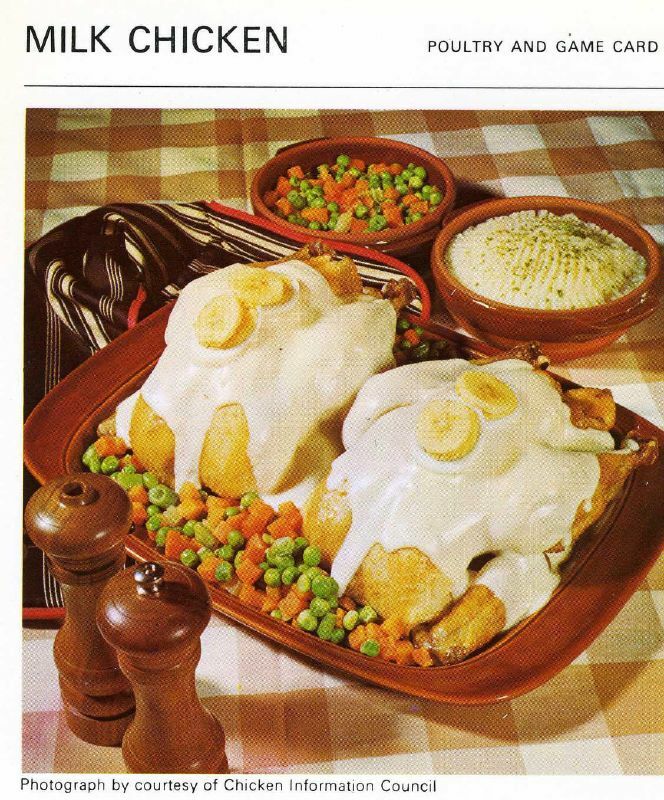 Also, is that slices of…banana on top of the…sauce?